Scattered around my website you will find bits and pieces of information about making a trip to Morocco. For the first-timer it can be overwhelming and sometimes even confusing to know what to expect when they arrive. The things that I now take for granted are the things most people have questions about. 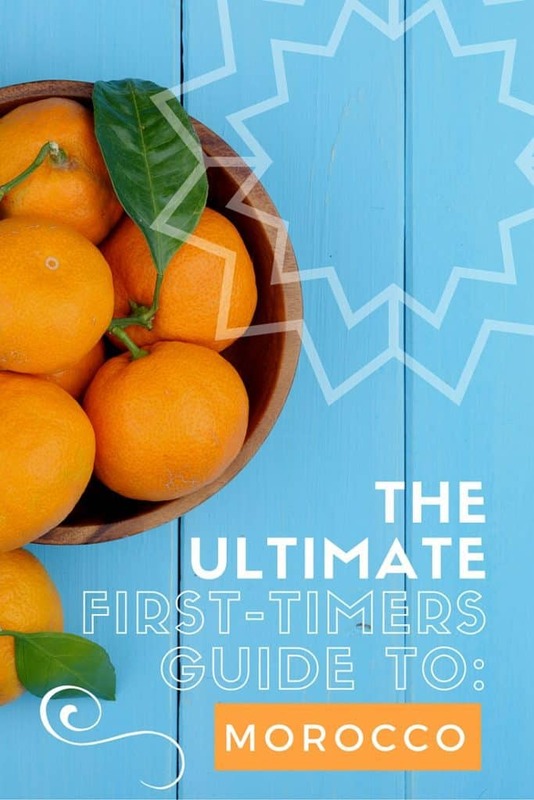 With a good friend of mine coming to visit for the first time, I’ve put together this ultimate guide to Morocco for anyone making their first trip. The Ultimate Guide to Morocco: Your Morocco Travel Guide! From North America there are a few flight options to Morocco. The only non-stop flight is from New York JFK to Casablanca or from Washington DC to Casablanca. This flight operates daily on Royal Air Maroc/Delta. Most flights will take you through Europe – almost every major European city has flights into Morocco. There are also low-cost carriers that connect from European hubs into Moroccan cities such as Marrakech, Fez and Tangier. Once in Morocco traveling around the country on Royal Air Maroc is possible. There is also a connection from Fez to Marrakech (and vice versa) on Air Arabia. New domestic connections are also being adding beginning in the fall of 2018. You may need to view the Air Arabia website to find these offers as they are typically not shown on flight aggregators like Orbitz or Skyscanner. Flights go to smaller Moroccan cities such as Oujda, Ouarzazate, Agadir, Rabat, or Essaouira. If your journey is taking you beyond Morocco you will find flights to destinations across the Middle East and West Africa from Casablanca or Marrakech. Large cities in Morocco, have ATM machines. Even smaller cities that have branches of the national banks have ATM machines. Major banks in Morocco include; Atttijariwafa Bank, Banque Populaire du Maroc, BMCE Bank, and BMCI. Make sure that you alert your bank that you will be traveling overseas and using your debit and/or credit card. Many banks will immediately lock your account if a transaction is made out of the country. If you travel with your national currency you can exchange money for dirhams at any of the national banks or Moroccan currency exchange outlets. They may restrict the amount that can be done at any one time depending on how much cash they have on hand. Unlike American or European banks, Moroccan banks do not hold unlimited quantities of cash. You CAN NOT take Moroccan currency out of the country, nor can you exchange your dollars, euros, etc for Moroccan currency in your home country ahead of time. Take this into consideration as you wind down your journey. 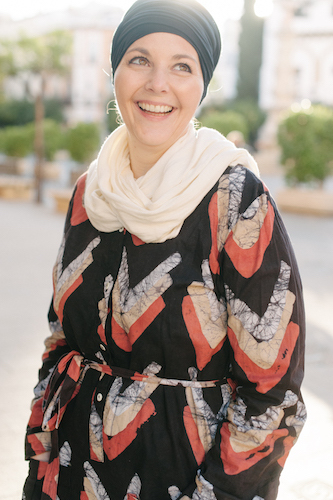 Wondering, “how much money should I take to Morocco?” This is a loaded question that doesn’t have a clear answer as it depends a lot on your travel style. Check out this post I wrote called Morocco is Not as Cheap as You Think to get a better understanding of costs. “Can I use euros in Morocco or can I use dollars in Morocco?” Yes and no. Sometimes for large purchases the shopkeepers will take major foreign currencies however you shouldn’t plan on this. Most visitors will not need a visa to visit Morocco. You should however double check to make sure you will not depending on your passport country. Visitors are typically permitted to stay in Morocco up to 90 days. When you arrive you will be asked to fill out a white Moroccan immigration card/ landing card. Some airlines provide this card onboard. Others do not and you’ll need to get one in the arrivals hall. Bring a pen as they don’t provide them. The card looks like this. Fill it out completely including the flight number and the address of where you are staying. Not filling this out can lead to delays. Also when you land plan to wait in line for 15 minutes and up to an hour or more depending on how many flights have arrived with you. If you can get seats towards the front of the plane and don’t waste time getting in to the immigration line especially if you have another flight to catch or someone waiting for you. You also need to fill one out when you are leaving Morocco so grab an extra one if you can and keep it handy for your exit. The Moroccan climate is very similar to California from north to south. Depending on where you’re staying, the weather may vary dramatically. The Atlantic coast is much cooler in general than the interior of the country. Northern Morocco is more temperate than the south. Generally spring and fall are the most moderate times of year with an average temperature around 70F. Summers can be very hot, well over 100F in the southern parts of the country, and even the northern parts quite warm. Winters can drop down around 40F. This is also the rainy season. It is important to keep in mind that most Moroccan homes and riads do NOT have central heating. Even if 60F sounds like a warm winter day, it’s not so warm when it’s rainy and there’s no interior heating! Most riads and hotels however will have heating and cooling systems. Because this is such a big question, I’ve put together a page to help you no matter what month you’ll be visiting. Visit this post: The Forecast: Weather in Morocco and choose the months you’re considering a visit. It will give you more specific information on what to expect, where to go and what to pack for that time of year. clothes that can be layered, think cardigan sweaters, tank tops, lightweight t-shirts, or long undershirts. Pants that can be worn comfortably and worn a few times without needing washing or pressing. Plenty of underwear and socks. A good pair of sturdy walking shoes – you’ll need them! I love shoes that can be worn everyday but fit with a nicer pair of pants and shirt. Women – you can always buy a pair of low-cost cute sandals in the markets if dressier shoes are called for! Swimsuit for summer months – note you likely will NOT swim in Morocco in the winter, it’s simply not THAT warm! A light weight jacket. You may want a warmer jacket if you will be in the mountains or desert during winter months. For women; one longer shirt (see this example) and a scarf to have on hand in case needed to visit holy/religious sites. Hand sanitizer or baby wipes for times when you may not have access to water. If you’re traveling off the beaten path you may want to bring some small roles of toilet paper or tissue with but it is more and more common now to find paper in most bathrooms. A few small gifts for hosts, friends you make along the way. Though not necessary, I like to have them just in case. Prescription medication in ORIGINAL containers – this is especially important if flying. Also make sure to include contacts, lens solution and extra glasses/contacts for the trip. If you have any allergies and use an EPI pen – carry it with you at all times. These are hard to find in Morocco. A small duffle or carrier bag that can be used for small trips or to bring home items you may not have room for in your luggage. Copies of your travel documents, flight itineraries, and where you are staying. It might also be helpful to keep a detailed list of what is in your suitcase (and receipts if you have them) in case luggage is lost, broken or stolen. Keep one with you, one in your suitcase and leave one at home with a family member or friend. Make sure to include bank card numbers with this information. It is possible now to find almost anything you would want or need in Morocco. That being said you should be sure to bring with you any medications or specialty products that you need or use. If you have a special diet (gluten-free/dairy free etc) you may want to bring along some snacks that can hold you over. While people are beginning to understand what this means in Morocco your options are really limited. Reading material, a journal, Arabic or French phrase book. (I like this one). A pair of flip flops or socks to get comfortable on the plane. Headphones (with or without mp3 player depending on your wants/needs). Any prescription medications you need for the trip. You may want to bring a sleeping mask, a small blanket or inflatable neck pillow. Money and bank cards/credit cards. Moroccans speak many different languages however the lingua franca is Darija, a dialect of Arabic. It’s comparable to West African creole; a combination of several different languages (predominantly Arabic, French, Spanish and Berber). In fact it’s such a blend of languages that most Arabic speakers outside of Algeria and Tunisia can’t even understand Moroccan! It is helpful to learn a few words in Darija to get by during your stay. Many Moroccans also speak French, though not all. In tourist cities like Marrakech, Fez, Tangier etc you will feel lik people can speak every language in the world. It’s (almost) true. Many Moroccans do speak multiple languages. Lonely Planet Moroccan Arabic Phrasebook. This book will come in handy especially if you find yourself off the beaten path and only speak English. We have a copy that is falling apart. When I met my husband we used this book constantly to communicate when our French faltered! labas – how are you? tkalam ingles? – do you speak English? mitsharfin – it’s nice to meet you. fin toilette? – Where is the bathroom? Want more? Read my posts on Introductions and Useful Expressions and Telling Time. Telephones; if you have a GSM compatible phone you can have your phone unlocked before traveling (making sure your cell phone will work abroad). You can then purchase a pay as you go GSM card in Morocco to make and receive calls with (swapping out your GSM card). If you want to travel with a computer, I highly recommend a netbook or a iPad, something small, compact, and lightweight. Cyber cafe’s are incredibly common even in small Moroccan cities and are relatively inexpensive, though the connection may not be the high-speed quality you are accustomed to. If you’re only looking to send a few emails, check in on Facebook, or call a family member on Skype this might make more sense than carrying a computer along. Morocco is very tourist friendly, DSLR cameras, video cameras etc are very common on the streets. Just be cautious to keep expensive valuables such as these secure. There are many ways to travel around Morocco. For budget travelers train tickets are cheap, service fairly reliable, and major cities are on the route. There are several bus companies that run throughout the country. If getting to smaller cities that are off the beaten path is part of your itinerary a bus is likely to be the most economical and efficient way to reach your destination. Many people try to see Morocco in a week or 10 days. This is impossible. If you want to see a lot of the country with little time for travel consider flying point to point. Royal Air Maroc (RAM) flies throughout the country and tickets are relatively inexpensive. Just be aware that RAM struggles with reliability and service standards. There are two options if a road trip is more your style. Rental cars are available in major cities across Morocco. That being said they are nearly all manual transmissions and expensive to rent. If you decide to go this route, check with your car insurance carrier to see if they cover rental vehicles, it’s also worth checking with your credit card company as some do offer rental car protection. If neither is the case, it’s highly advisable to take out insurance when you are renting a car. Morocco recognizes drivers’ licenses from most countries but beware when driving. The police are quite vigilant, especially if they notice you’re not Moroccan and an inflated ticket price to pay may be likely. You also will be sharing the road with all kind of vehicles. From overloaded transport trucks, to motorcycles, donkeys, and horse drawn wagons. If you’re not ready to take the driver’s seat, grand taxis’ run throughout the country. In most cities there is a central gathering place for these large long-haul taxis and you can negotiate with the driver about the price for the destination you would like to go. While negotiating make sure you let them know if you want a private taxi or not. If not, don’t be surprised if there’s 4 of you in the back seat and 2 up front, and that the taxi might make stops between your departure point and destination to let off and take in passengers. Finally, keep in mind that distances on a map appear closer than they really are. Driving through mountain ranges, which cut through the country, takes a lot more time than a straight stretch of road. 200 kilometers through the mountains can take double or triple the time it would on a regular road. It is advisable to arrange transportation for your first day in Morocco. Getting from the airport to your accommodation can be confusing and frustrating. Many riads and hotels have transfer services available. Sometimes it is included as a perk of staying and other times there is a charge. Even if you feel like the price of the transfer is high, my advice is truly to book it. You will have less of a headache and will be more at ease on your arrival than trying to sort things out with a taxi driver. How covered do I need to be and is it the same for all regions in Morocco? This depends where you’ll be. In most large cities you’ll find women who are completely veiled and women who are wearing revealing tops and skirts with 4″ heels – and everything in between. In rural Morocco, dressing more conservatively is advisable. As a general rule of thumb, I feel that it’s most respectful to cover up a bit. Short shorts and crop tops are not the way to go unless you want to draw the stares of everyone around you. Shirts that will cover your behind and have at least a small cap sleeve are a better options. Loose fitting pants or a skirt may make you feel more comfortable though I regularly wear skinny jeans with tunic tops. I also would avoid shirts that show too much cleavage. If you plan to swim at a hotel pool, it is completely fine to wear whatever swimwear you want – be it a bikini or otherwise. If you are going to swim on a public ocean beach you can technically wear anything but know that the less you wear the more stares you’ll attract. Also walking around town, even in beach towns, wearing a bikini or a bikini top and pants is really not advisable. How should I respond to annoying men? I touch on this a bit in my post on tips for female travelers so jump over there to get the full details but as a general rule don’t engage. Ignore them. If you feel threatened or uncomfortable then find the nearest police officer and tell them. If you are somewhere with a lot of people, don’t shy away from yelling back at the person. If at anytime you are touched then immediately make a scene and if the police are nearby alert them. The sad fact is that many young men feel that they are actually complimenting you when they act this way. While in an ideal world we could take a timeout and show them how wrong they are, it’s not really practical or possible. Here is some more advice for dealing with money and shopping. Yes, there are many ATM’s just about everywhere in Morocco. In rural areas you’ll be more limited to options and may discover some are out of money especially on weekends. If you plan to go to more remote areas, plan ahead and get enough cash in the city before you go. Is it a good idea to just withdraw cash from an ATM? You can typically withdraw 2000 dirham in a single transaction and will be given 100 and 200 dirham bills. The largest Moroccan bill is 200 dirham. You will want to have change whenever possible. Coins come in 0,20dh, 0,50dh, 1dh, 2dh, 5dh, and 10dh quantities. Bills as 20dh, 50dh, 100dh, and 200dh. Having smaller coins and bills is very helpful as most purchases are done in smaller quantities and vendors hate breaking 100 or 200 dirham bills. You can go into a bank branch to get change for larger bills. Should I have cash with me to get to the center when I arrive? There are currency exchanges at all airports. If you need money right away (for taxi fare etc) exchange a small amount of money up front and then use an ATM to get more. Airport exchanges charge a high exchange fee. In the Marrakech airport there is also an ATM outside of the immigration and baggage control before you exit the airport. This is also the case in the Casablanca airport. Morocco is a cash society and bargaining is a way of life. When you are making purchases you should be prepared for this. Whatever price they give you, cut it by 2/3. Then work from there to get to a point you both agree on. Don’t appear to interested in any one object. This really is a game! If you really don’t want something don’t start the process and walk away. If you do want it but aren’t willing to pay the final price you’ve been given walk away. Many times they’ll come after you and agree to your price. If not, you probably can find it somewhere else. The prices for things will vary depending on where you are geographically and in terms of a restaurant or grocery market etc. Read my post on the cost of things in Marrakech for a general idea of prices. This is a loaded question and has many different levels. Click over here to read through some of them; from terrorist threats to general safety and food safety. The simple answer is yes, Morocco is safe. If you want to dive into more specifics then read this post where I discuss different types of safety and what to be aware of. 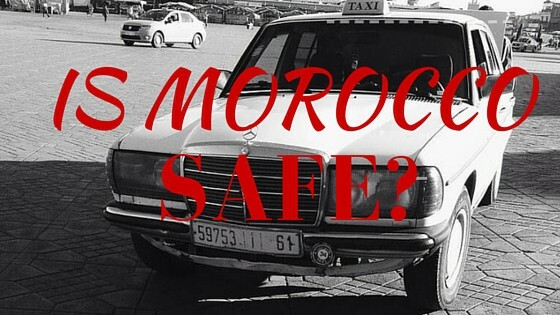 Keep Reading: Is Morocco Safe? Moroccan food is not spicy, it is heavily spiced. The food you will find for sale in restaurants and cafes is by and large very safe to eat. Moroccans do not eat rare meat – it is cooked (over done sometimes) completely through. Most vegetables are served cooked as the Moroccan diet doesn’t contain a lot of raw vegetables. Fruit is widely grown on small scale farms and is very local. While some pesticides are used it is not as heavily as in other countries. You should not limit yourself to not eating anything because of fear of illness. That being said yes, some people do get food poisoning just as they do around the world. Bring some over the counter medicines for this just in case. If all else fails the Moroccan remedy is a spoonful of cumin! Stick with bottled water. In cities you won’t get sick brushing your teeth in tap water, and if you live here chances are good you drink straight from the tap. But, who wants to chance it disagreeing with you? Tipping, is it done? How? Is it expected? If so, where and in what situations? Tipping in Morocco is similar to Europe. A small tip is expected on a bill at a restaurant say 5-10%. For a service such as a guided tour again a small tip is appreciated though not required. Consider the value of the service you’ve had when tipping, if you do decide to tip. For example if you’ve hired a guide from a company for a tour and paid $100 then consider tipping about 100 dirham to the guide. Morocco is not a dry country. There is alcohol available here – there are even wineries and breweries. That being said being drunk is highly frowned on. There are bars, nightclubs and restaurants that serve alcohol in every large city. You also will find alcohol for sale in grocery stores like Carrefour or bottle shops. You should keep in mind that alcohol is highly taxed and you will pay quite a bit. Wow! I have been doing my research about Morocco for the past 2 days as I am planning to go in September (which is my first time travelling solo) and this is by far the most informative piece I have read. Very helpful indeed. I like how you are linking the other blogs which I have found really useful. Thank you! Very informative with details, perfect must read for first travelers! Thank you for sharing, it is really helpful! Hello Amanda! Could you explain me a little more about why can’t I bring dirham to morocco. Because I am thinking of making exchange in my country to have some for the start of my trip. You likely won’t be able to get dirham in your home country. The currency isn’t traded outside of Morocco. If you can get it for some reason the exchange rate will be likely be poor. I would advise to bring your home currency or an ATM card and get money on arrival. All airports have currency exchange and ATM machines. This is the most informative article I have read so far. Thank you for sharing all the necessary information especially for the first-time traveler to Morocco. I am currently taking psychotropic prescriptions (for anxiety) under a doctor’s care (with a prescription). I read somewhere that psychotropic drugs are not permitted. I called the Moroccan embassy and they said, “It should be ok.” I’m looking for a more definitive answer and I’m not sure who to contact. If you are on prescription medication bring a copy of the prescription and possibly a doctors note with you and it should be fine. Chanced upon your wonderful site and found it immensely informative and useful. I am an academician from New Delhi, India currently based in London. I want to visit Morocco this September end and October beginning for a week. I am interested in Tangier, Fes, Chefchaouen, Mekenes, Marakkesh and Casablanca. Also I want to cross over from Tarifa by ferry one way either coming in or going out of Morocco. I am not very comfortable with left hand driving and shall depend on public transport. May be I shall hire a chauffeur driven vehicle for the trip if it is conveniently available. Shall be really thankful for advice to best plan my trip if you can spare the trouble. You can chop and change places and decide the route as you have the best knowledge I found on the web. Regards. Yes I’d expect it to be 8 at least if nothing slows down the train en route. I would say that a private vehicle would be a better option for that transfer. It will cost around $150US (possibly more but that’s fairly normal). 3 tickets in first class for the train to go that route will run you about $100US so it isn’t that big of a difference and the trip will take closer to 5 hours instead of 8 plus you can stop whenever you want. Can you use WhatsApp, FaceTime and Skype to call now? I read that the ban was lifted permanently in 2016. It has been lifted – apologies that post hasn’t been updated. I am thinking of visiting 20-27 May 2017 and will be going alone. Would you recommend a tour instead of planning it on my own? I prefer small group tours – would you be able to recommend any? I looked at the one you recommended above (which looks great btw) but they do prices for 2 people. I will definitely be re-reading your travel tips. If you want to join a group tour look into something from G Adventures or Intrepid they offer regular group tours around the country. You will be coming at the start of Ramadan if you come in May so this is something to keep in mind. Thanks for this article, so helpful! One question about ATMs: Do you know if they accept debit cards that don’t have RFID chips? (My American bank is still in the ancient times, so my debit card has only a magnetic stripe.) I’m a bit worried about whether I’ll be able to get cash during my trip! Not a problem – ATMs will take either chipped or unchipped ATM cards. Thank you! That puts my mind at ease. Thank so much for putting together such an informative page. It has been very helpful. My name is Nkoli, And I’ll be traveling to Fez Morocco for 4 days only. Not much time at all but will be in Barcelona for vacation and couldn’t resist a trip to Morocco. So I was wondering will 4 days be enough to find the perfect affordable rug? Can you recommend affordable areas in Fez that I can visit in search of a nice rug? If Fez is not the right area, please recommend where you think I could go within the 4 day timeline. What would you say an average price (ball park figure) for a 5ft by 7ft rug would be? I don’t have much money and always dreamed of owning a real Moroccan rug, so price is a factor. I’m sure you can find a rug in Fez there are thousands! I don’t have a specific place in mind but a good rule of thumb is to bargain hard. Know your budget and then operate from that stand point. You’ll want to cut down the price the dealer gives you by 2/3. The price is going to depend a lot on the style. You may want to tell them you want a newer rug (they’ll be cheaper). One of the more inexpensive types are boucherite rugs and kilm rugs. Have fun and don’t give up you may have to look a lot before you find one you love and is in your price range. Keep up the great work Amanda! What a great post Amanda. It’s been a long time since I last visited Morocco and this is also helpful for people like me. 🙂 When I do go again, I’ll be reaching out to you! Thank you so much for this beautiful article featuring some of the highlights of Morocco. We just got back in a trip of 14 days put together by our travel agents at Gateway2morocco and we loved every inch of it. The food was delicious, people were very hospitable and the sceneries are amazing. Thanks for the insights! Just an update to your transportation post — there is a direct flight from Montreal (Canada) to Casablanca — 7 hours, no stops! Thanks for letting me know I’ll edit that! This is really helpful. Your blog is the best! Thanks. I’m looking forward to going to Morocco in April. Can’t wait!